Fairplay is a registered charity, dedicated to helping children with additional needs and their families. The proud owner of a brand new building, opened in May 2010, and specially built to facilitate the care and support for children who attend, and to provide support to families, it is now fundraising hard to raise money to turn a patch of derelict land into an innovative garden to help disabled children access the same outdoor play experience as able bodied. At an event attended by the local business community, dignitaries and The Mayor and Mayoress of Chesterfield, the Charity launched their Business Challenge and invited every business in Chesterfield to take part. It's a unique way to fundraise - and aims to encourage fun and teamwork amongst colleagues as well as raising money for a good cause. Every business, whether it has one employee or thousands, is being encouraged to participate in a variety of events; runs, walks or by doing something like wearing PJ's for work. Every penny is important to the Charity as it enables them to provide vital support services for over 400 families in Chesterfield. Heather Fawbert is the Project Manager at the Centre and she told The Chesterfield Post about the work done there saying "We're a charity that supports children, young people and their families throughout North Derbyshire, offering family support in the home and offering services such as youth clubs, playscheme and arts activities. "We also help to train people who care for children with additional needs in order to make sure they have the skills needed - we have about 150 young people who work with us. Our home based support service is hugely important to us, this helps families of children with complex healthcare needs - one Saturday a month they come to us and access our services." Heather went on to talk about fundraising which is so necessary to the service, telling us, "It's worrying about having enough money coming in which keeps me awake at night - particularly at the moment with the cuts - and sadly the Voluntary Sector is not top of the agenda so we need to continue to need financial help." She had this advice for anyone thinking of fundraising for the Charity, "Don't think too big - make it small and make it fun, something you might do anyway - for instance hold an event and just charge a little bit more - the extra will raise money for us. Don't make it too difficult for yourself, if it becomes a chore then look to do another activity." The business community is important to the charity, "They have been fantastic", says Heather, "There are so many people are employed in the business sector who like a challenge and benefit from having good team work. There are loads of prizes too for teams who make the most money, or those that have the most employers involved." Peter Koyander is the architect who designed the building and is now one of the most passionate fundraisers for the charity. 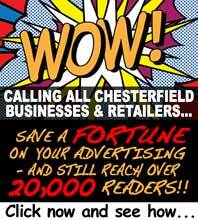 The Chesterfield Post talked to him about his involvement with the group and why he is proud of the facilites and the kids. "The brief for the building was clear, to make it uplifting, bright, welcoming and invisible in terms of institutional needs, friendly and welcoming. The building should be a series of subtly designed spaces." Peter had given a talk about his fundraising, and even played the guitar to the assembled guests in order to raise money at the launch. Raising laughter when he described the 'BH' moment of fundraising - the moment when you think "what the Bloody hell am I doing?" and urged others to put themselves in that position. "Do something you wouldn’t normally, just go and do it! Challenge yourself! it gives you lots of personal satisfaction". He is now passionate about the centre saying, "My understanding of designing for disability is completely different. 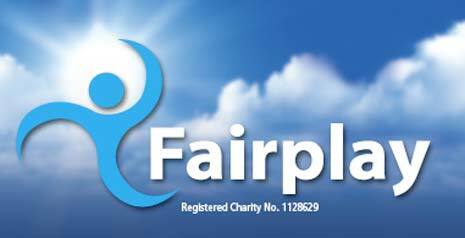 Fairplay are really supportive and like any charity, they rely completely on funds raised. Just go and do it".